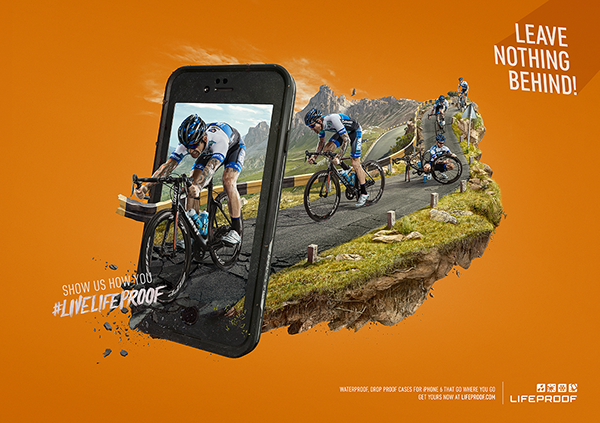 LifeProof makes remarkable products that inspire people to live and share a life without limits. 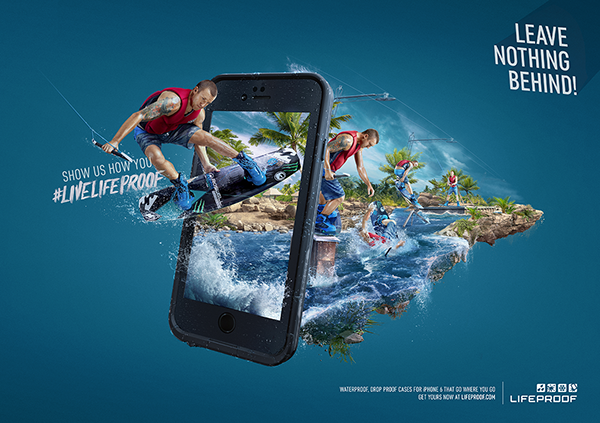 For LifeProof’s new iPhone 6 case launch, they wanted to address and solve the common problem of using the iPhone 6 as an extension of one’s action-packed lifestyle. 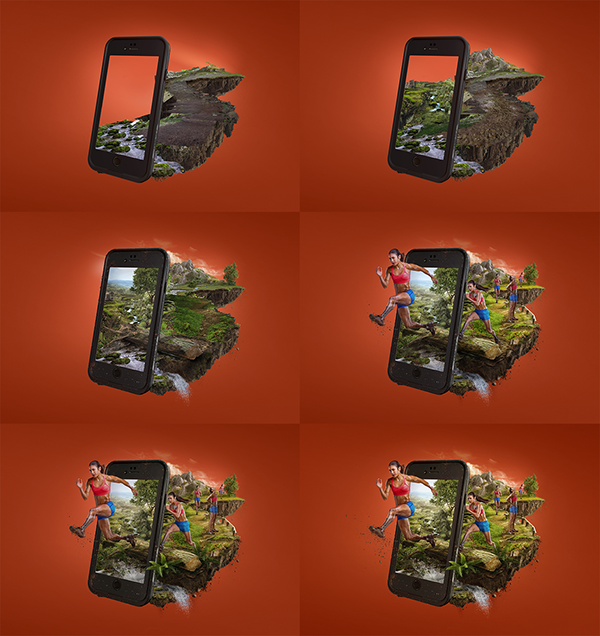 The user can now take their phone anywhere and everywhere — never leaving it behind. The message speaks to the active individual who is no stranger to going “all in,” using powerful visuals and relatable language. 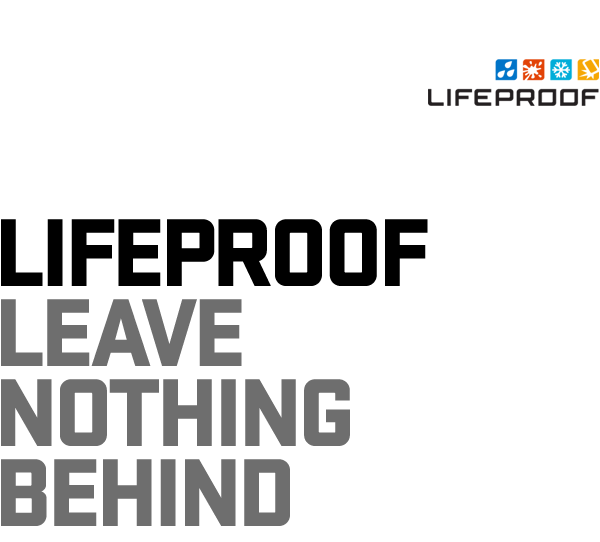 Though the context may differ, ‘Leave Nothing Behind’ is a familiar battle cry for all athletes and action enthusiasts alike. 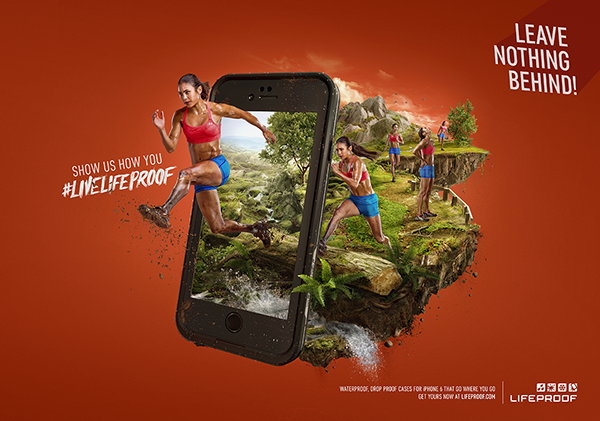 LifeProof now gives the user the freedom and ability to capture, record and share all of their stories, adventures, travels, and more. 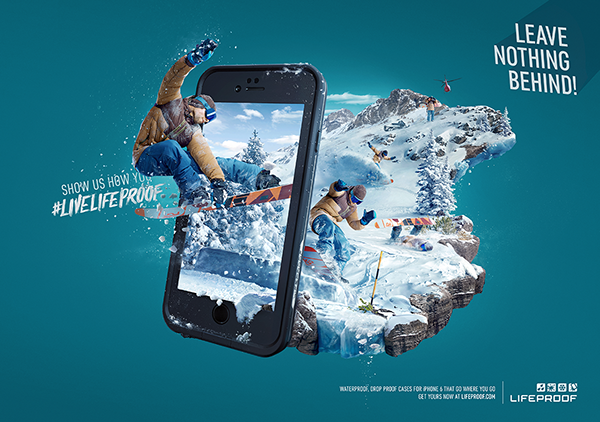 product is designed to "PROOF" the device for life through protecting it from: Water, Snow, Dirt and Drops. 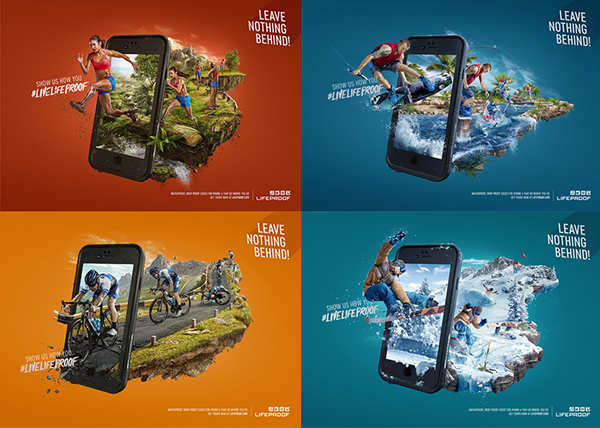 Our goal was clear - to create visuals to give an expression of LEAVING NOTHING BEHIND, capture that action sequence of that day out on the trail, the road, the lake, and the slopes and present that as beautifully as possible. 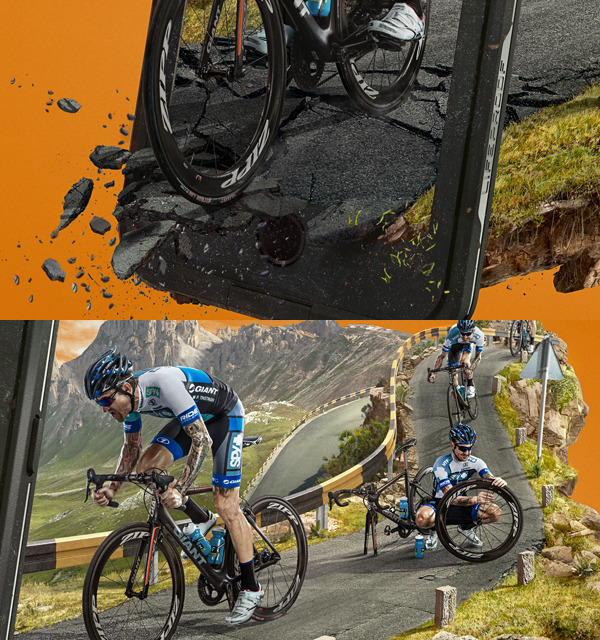 For the purpose of the campaign a photo shoot was arranged back to U.S. We have received photos of athletes assigned to a specific topic of illustration. 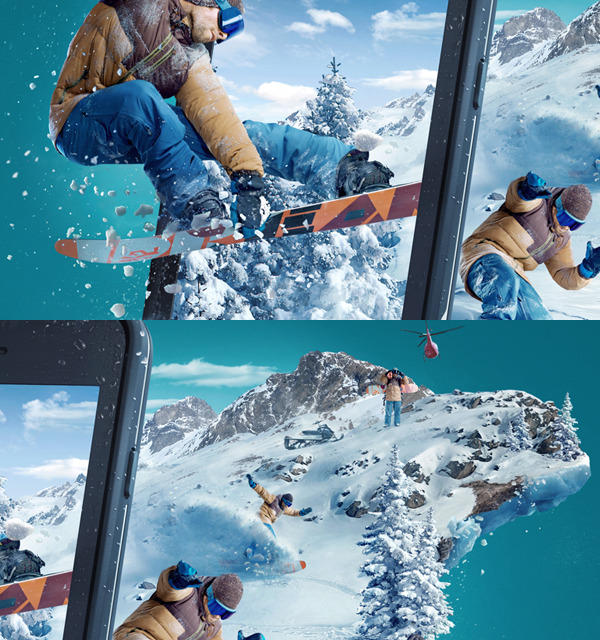 WaterProof = Wakeboarder, SnowProof = Snowboarder, DirtProof = Runner and ShockProof = Cyclist. And then pure mix of techniques began. 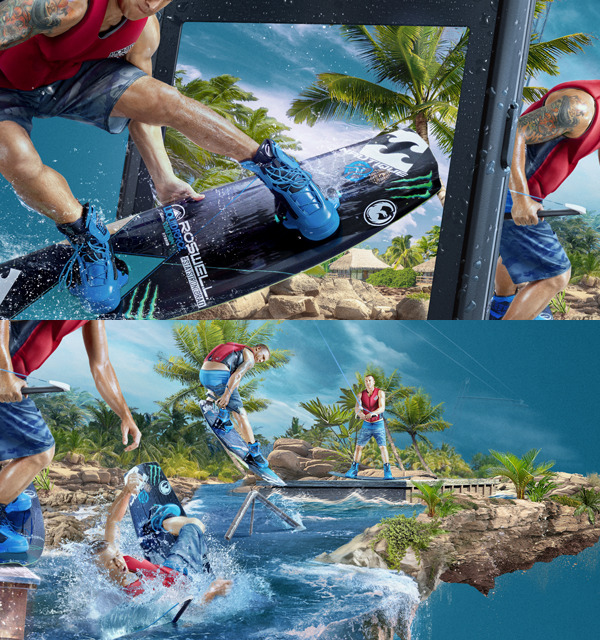 Our 3D Artists, Digital Artists, and Retouchers joint forces a created pictures full of adventure. 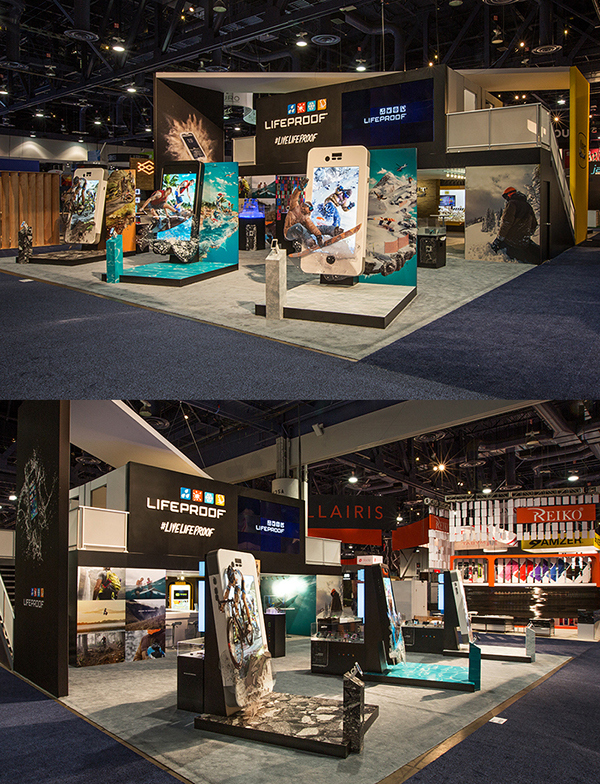 Key visuals to launch the new iPhone 6 case, which accompanied the LifeProof booth during CES Conference in Las Vegas.